Flavored coffee has become extremely popular over the years. To meet the demand we have developed a program that is tested and consistent. Our flavoring department consists of dedicated flavor experts who take either ground or whole bean coffee and apply an exacting amount of flavoring to each pound. Depending on your delivery system, be it 12oz retail bags, single cup or single pot bags (fractionals), we are experienced at delivering a delicious and affordable flavored coffee to you every time. All Empire flavored coffee is Non-GMO, Kosher, and has no added sugar. 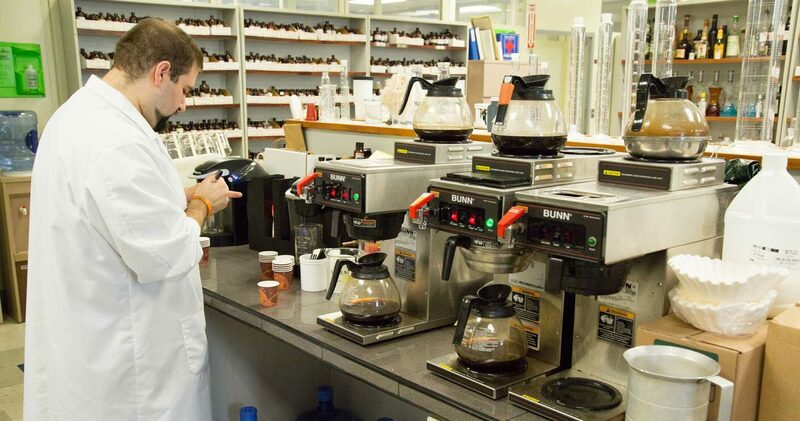 The “art” of designing and formulating a new flavored coffee flavor, or even matching a flavor for the first time, relies solely on the ability of the food scientists designing it. 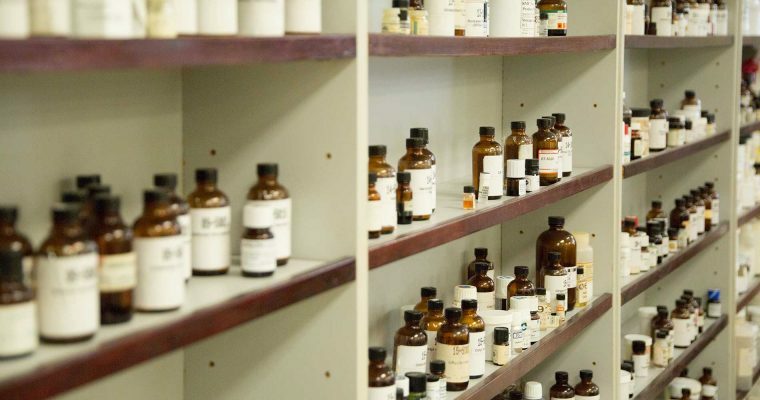 When a project comes in the chemist must first evaluate the flavor and then design it from a library of over 1200 flavor ingredients and essential oils. Two ingredients we never use in our flavors are Diacetyl and Acetylpropionyl. These two flavor compounds have been shown to pose health risks when ingested. The final flavor is often constructed from a dozen or more different base flavor compounds. 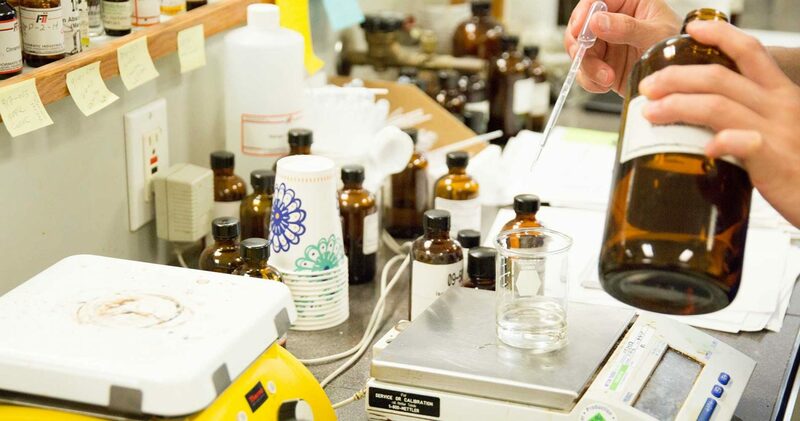 In addition, these compounds are either synthetic or natural, flammable or not. 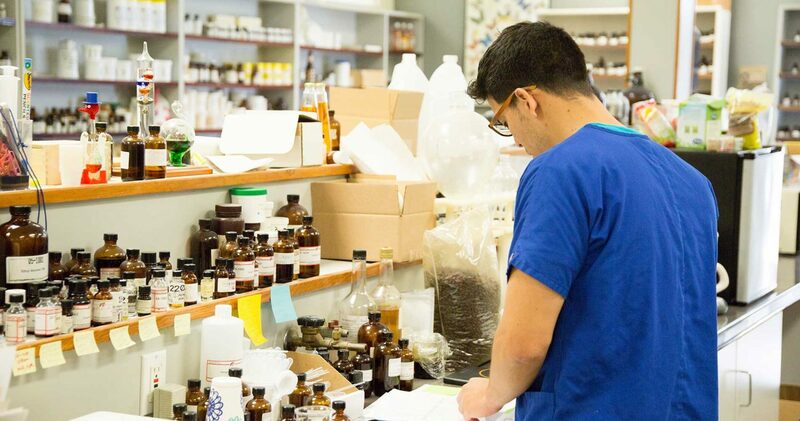 Though the first lab is where the most complex work happens, it is only 30% of the overall process. Once a flavor has been designed and formulated in the first laboratory, that flavor is moved over to the second lab where it is compounded into an actual flavoring that can be used in a triangle taste test. 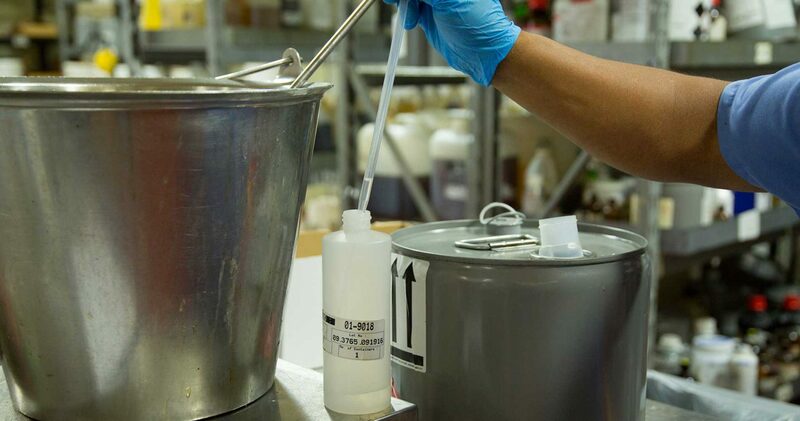 A technician takes the formula from Lab 1 and builds it into a workable, testable flavor. Following that, the technician flavors the product it’s meant for and then a group of at least 5 seasoned tasters determine if the flavor is working as intended or needs to be adjusted. 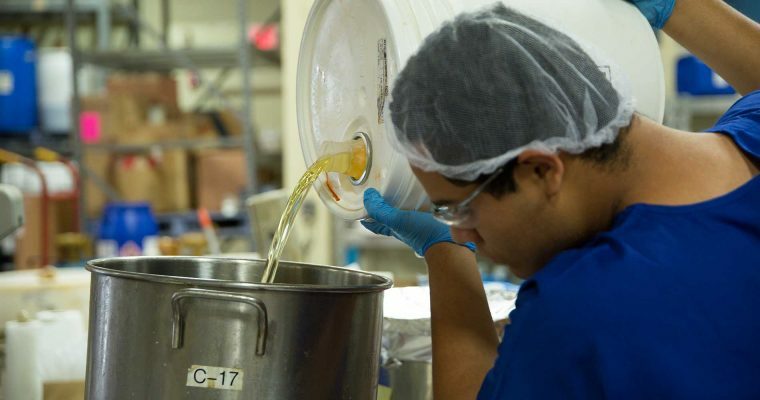 This process may go on for many days since the tasters can only evaluate up to 4 variants in a day. The final stage in the process comes when the flavor has passed the taste test. This is when the final formula is carefully built step by step to create deliverable flavors to customers all over the world. 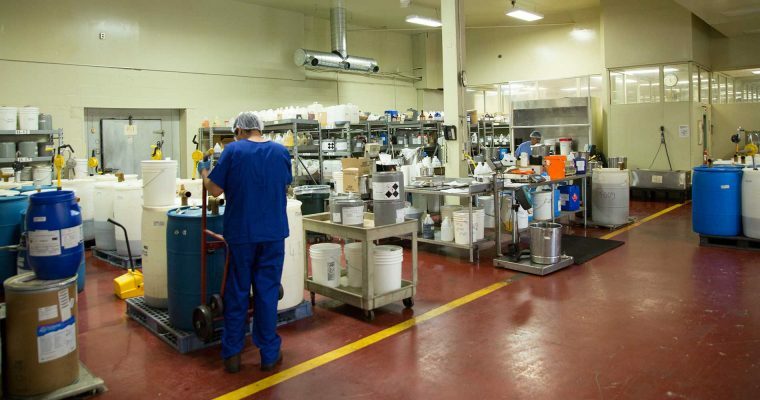 Trained technicians are able to create concentrated products from as small as a few ounces, to many tons for various customers. Another important facet of successful flavored coffee is the green coffee we use and our method of roasting. Over the years we have honed in on the perfect coffee, roast profile and grind to accentuate the flavors while still maintaining that deep and rich coffee. By slow roasting our beans we draw out all the wonderful flavors naturally running through the coffee. We never want to over roast and impart smokey or roast flavors. Our preference is to always use ground coffee over whole bean, though we do offer this option. By flavoring ground coffee you are able to evenly distribute the flavors and provide the customer with a much more uniform and consistent cup of coffee. By flavoring whole bean coffee you open up the possibility of having “hot spots and “cold spots”. Also, there is nothing worse than having a pot of coffee that is perfect one day and has either too much or too little flavoring the next. Contact Us about our many flavoring options!